Anyone able to tag Ed Woodward on this?? ? Two trophy winning seasons in the last sixteen years does not make van Gaal a ‘terrific manager’ in my book. He is in fact, yesterday’s man who is living in the past, mainly of the 1990’s, pushing a once successful but now outdated playing style which is failing at United; he doesn’t appear to know what the hell to do about it, except more and more training. He may have fooled Woodward and co. but the fans have seen through him. He and his brand of football are past their sell-by-dates and he should retire to Portugal asap. It’s hard to do that with the players currently on UTD’s books so I think you’re being a bit unfair – LvG has had two mandates: get into the top-4 and rebuild the team. He’s done both BUT the means to those ends have been gruesome to watch. It seems to me that he’s been hamstrung by the combination of youth and low-quality of the squad. How many of UTD’s players would make it into the 2008 double team – maybe DDG, but that’s it. This quality-gap is extraordinary and, in fairness I think, it’s to LvG’s credit that he has been able to get this rag-tag group into fourth-place; it’s not to his credit that his gruesome style ending up biting him in the arse in the CL. The quotes from today’s presser seem to suggest that LvG is keenly aware that he has to get results which means he has to be more bold and less rigid in his game-planning. 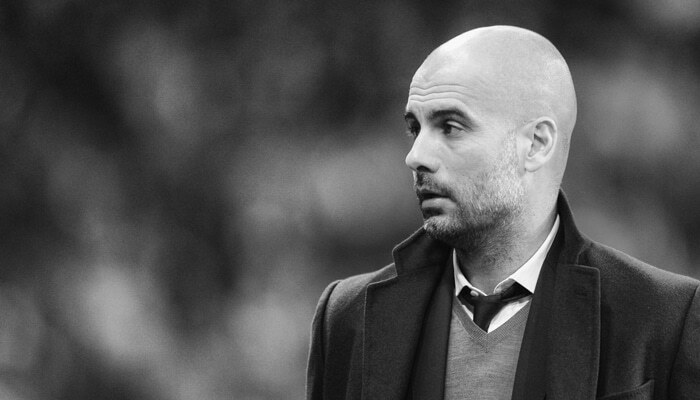 Jo$e’s firing – and the long shadow of Pep – have obviously upped the pressure on LvG. LvG also said something very interesting about Leicester’s win over the RentBoyz – “how many chances did they have – and yet they scored two goals”. As much as you or I or almost any other UTD fan complains about the team’s turgid approach it remains a fact that the quality of finishing from ALL of the forwards has been appalling. By my count, the boy wonder – Lingard – missed five gilt-edged chances in the three matches before he went off injured against Bournemouth and even Anthony Martial – he of one goal in the past ten matches – had the keeper at his mercy against Bournemouth and scuffed his shot wide. As bad as the finishing has been, the defending against set-pieces was directly responsible for two of the three goals in the loss to Wolfsburg and both goals in the loss at Bournemouth. And not one of those goals was the direct responsibility of “kids” – Smalling and Carrick lost Naldo in the penalty box for his two goals; DDG mis-judged a corner; and Daley Blind lost Josh King from another corner. This would be comedy gold if the opposition put four goals on a plate for TheLads in back-to-back matches. To what extent are these attacking and defending errors the “fault” of the manager ? Are these players exempt from blame ? Would a different manager get better concentration from these defenders, all of whom are experienced internationals ? To my way of thinking, LvG is caught between-a-rock-and-a-hard-place. Van Gaal hasn’t rebuilt the team. He has turned over plenty of players and he has completely changed the tactics. That isn’t rebuilding, It’s changing things to suit his approach. If there had been any progressive sort of rebuild then United would surely have not gone out of the C.L. at the group stage. PSV and Wolfsburg are very ordinary teams. brilliant article nice one pal? some good articles lately! ?? — What was the LvG hire about and having Giggs his understudy? The notion that “Pep will fix anything” is a folly. How long has he lasted at any club? He burns out 3-4 years into management of Two-horse-race league leaders, Bayern and Barca. I could have managed Barca during those years and brought trophies… facetious? Perhaps! Those who say LvG is yesterday’s man, don’t know football. Since Since 2003, he has ushered in new era at Barca and Bayern. He also brought AZ a league title in Holland, which is an amazing feat considering the concentration of football residing in Ajax and PSV. Then there was the 3rd place in 2014’s world cup… hardly yesterday. Give Pep to City… we’re United and don’t need anyone. Arrogant? Absolutely! You need to cut down on the wine gums.